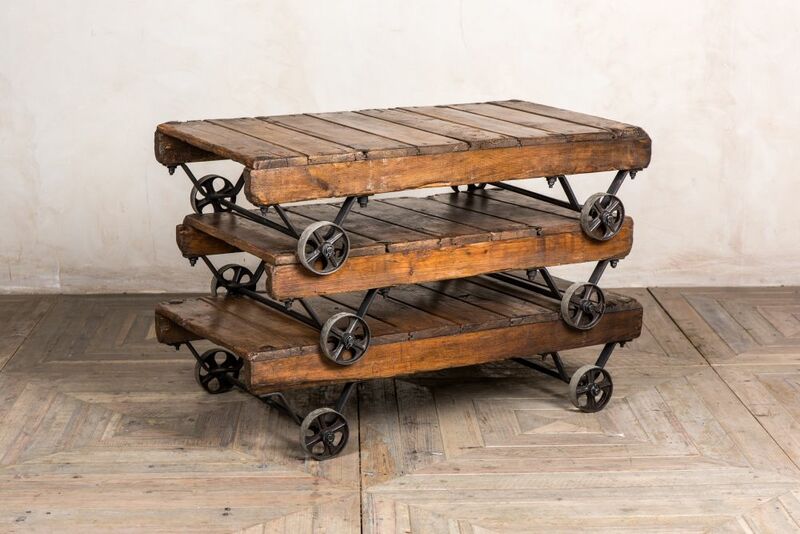 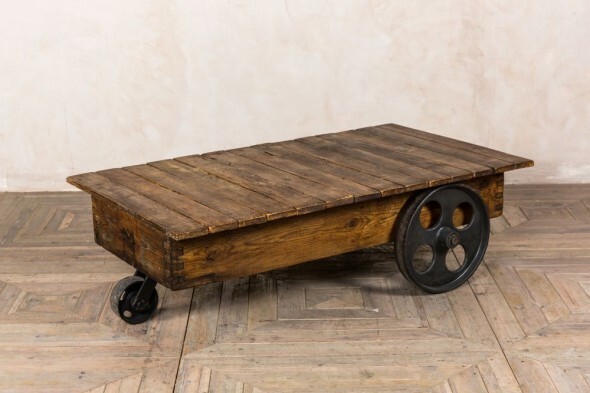 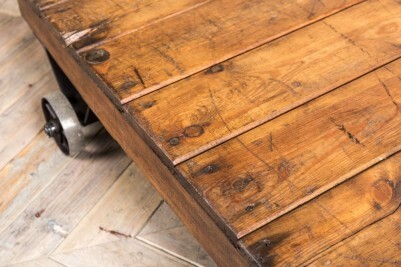 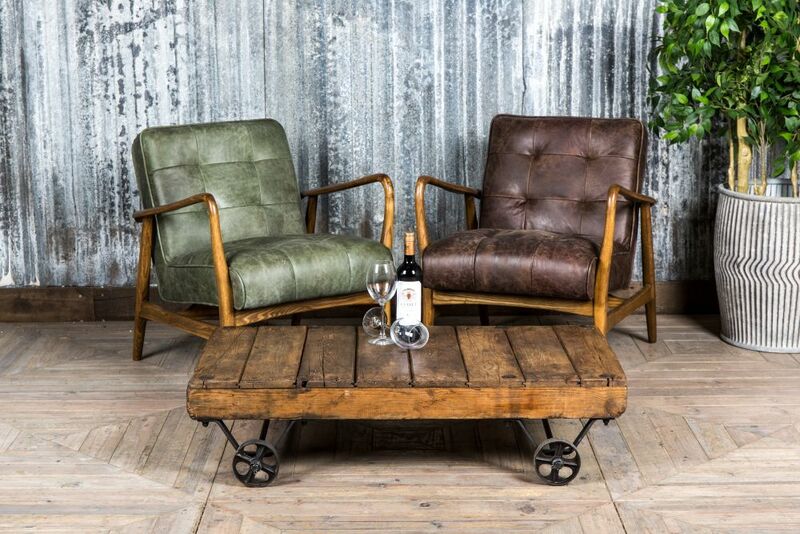 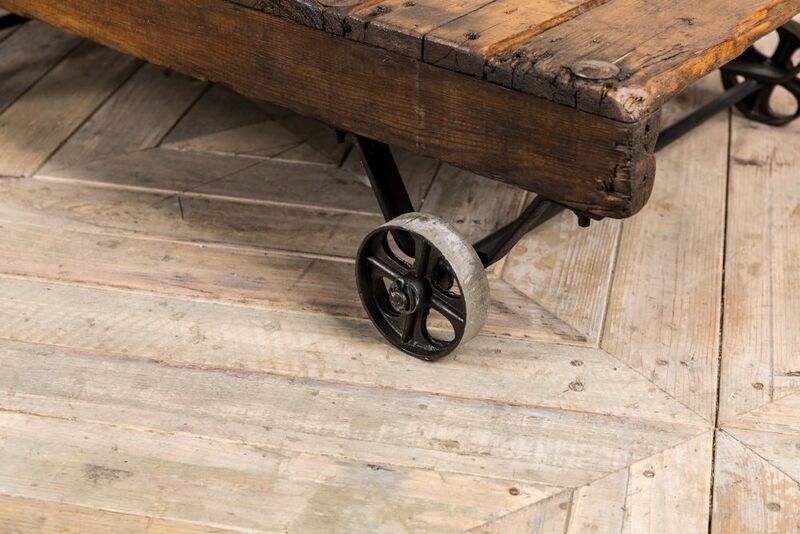 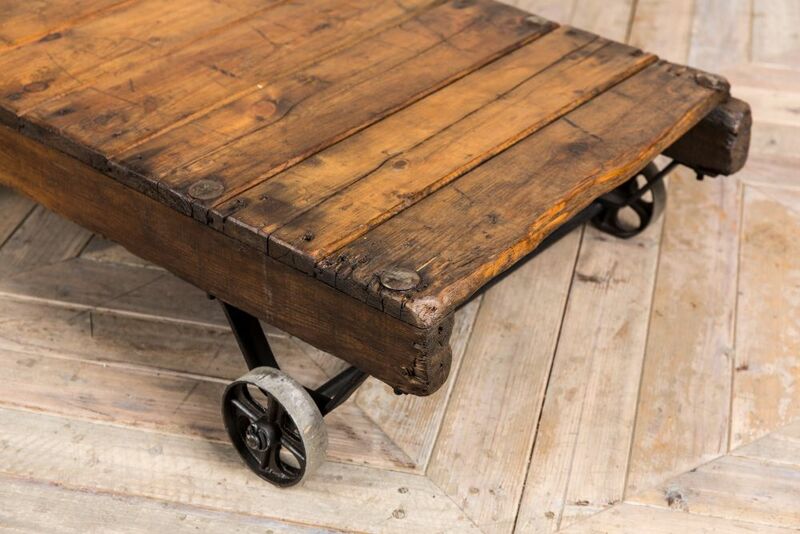 Our industrial style coffee table with wheels would suit a rustic or industrial inspired space. 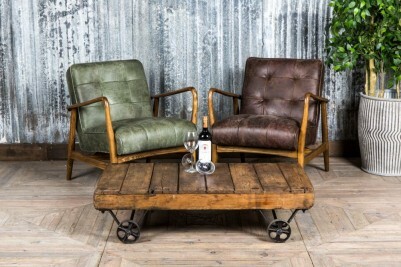 The coffee tables are made from original Edwardian flour sack carts, and have a black metal frame and four small wheels. 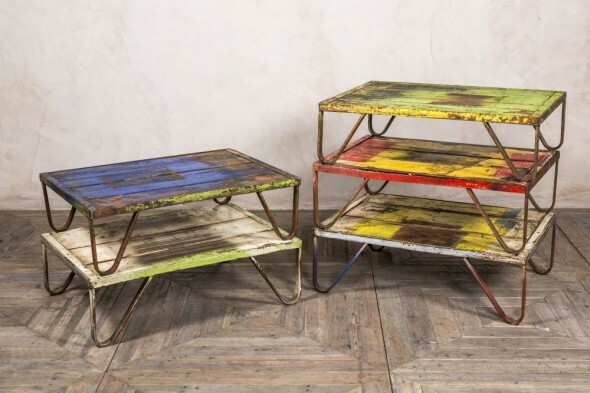 They would look fantastic in a quirky bar, restaurant, or coffee shop. The coffee tables conveniently stack, making them ideal for storing as spares and bringing out during busy periods, or simply to make cleaning the floor easier. 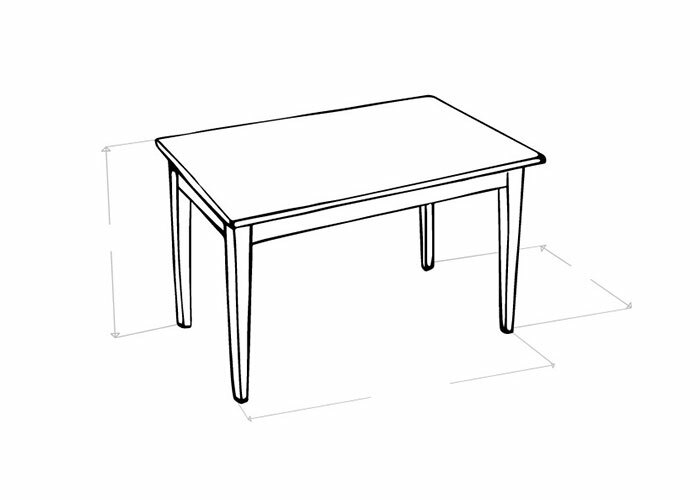 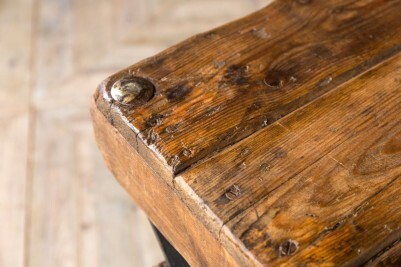 Please note that the tables have been upcycled from antique materials, therefore they do feature knocks and marks. 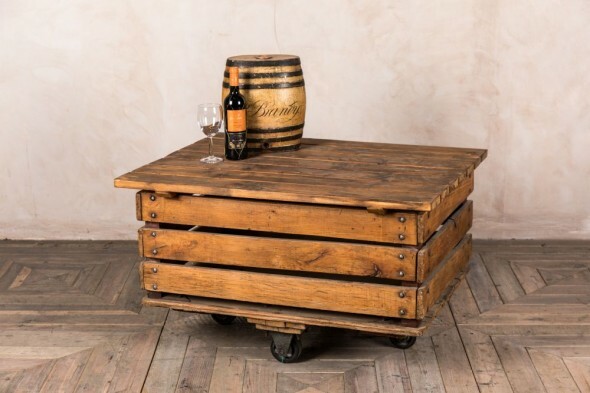 We feel that this only enhances their rustic character.